At 281 Clarence Street sits Gaffa Gallery. Occupying a disused police station, Gaffa is now home to emerging and established artists alike. It is a unique space for collaboration, development, and opportunity for both emerging and established artists. In January 2018 Gaffa’s in-house gallery administrator Jenny Du curated Oomph!,an exhibition devoted to showcasing works from recent art graduates from ANU, NAS, SCA, UNSW Art & Design and UTS. The works in the show span photography, sculpture, ceramics, mixed media and painting which is indicative of the reach that Gaffa has across the arts. It is not a place limited by one mode but draws artists from all backgrounds to showcase the best of that medium. The building itself has a large hollow space in the entry way that extends up the four stories to the ceiling. Up the stairs sit three gallery spaces that draw in natural light from the vast array of large windows on all sides. On a film set, a gaffer is responsible for implementing the lighting plan for a given production. Despite the different spelling, it is a fitting name for a gallery where light has become synonymous with and creates the space. 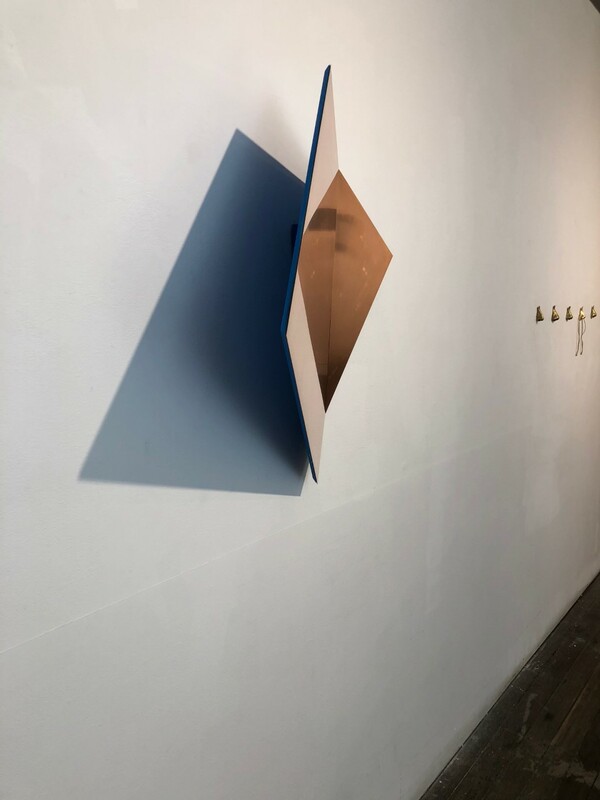 Gaffa’s light filled space is the perfect environment for Time, exposed by Ben Robinson, Composition with Copperby Anna Dudek and Proposition 7by Daniel McClellan which use light and form as central themes within the work. 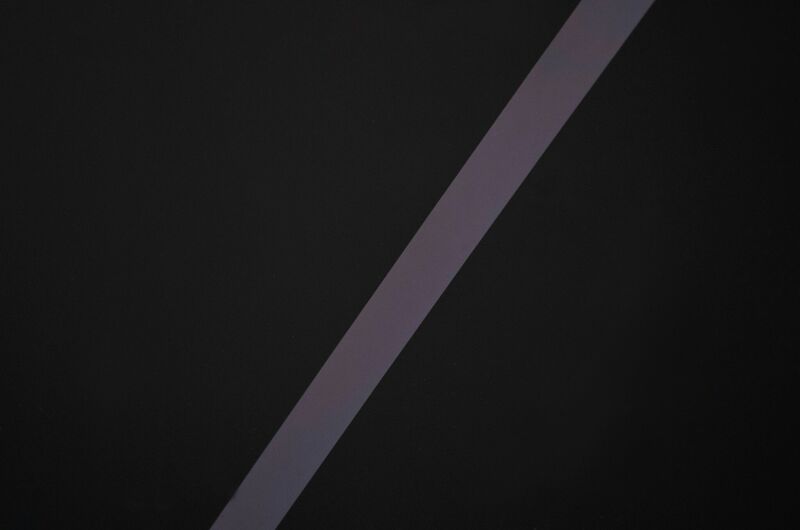 These minimal yet striking artworks, although visually and conceptually different are linked together through their mutual use of light as a tool which informs and in the case of Dudek and Robinson, shapes the artwork and gives it form. When you enter the show, your eye is drawn to the back of the first gallery where Time, exposedby Ben Robinson arches across the entire wall. The work is a series of analogue photographic images that are in a constant state of change. 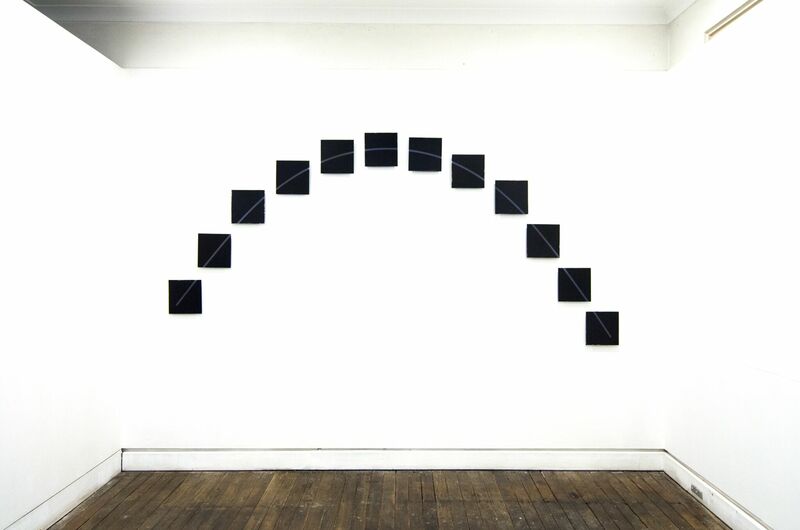 The series of 10 seemingly black and white plates each feature a single line that together creates an arch across the wall. It seems familiar and abstract at the same time; you can't quite figure it out, so you spend some time wandering around the rest of the gallery. By the time you circle back, it has been about an hour, and there is something different about the work. It's not black and white anymore but a vaguely purple colour. Robinson documented the sun traveling across the sky over a 24-hour period, and each plate represents a particular stage in its journey. The images are printed onto metal plates and painted with photographic emulsion similar to traditional photographic processes. However, due to the absence of a darkroom fixing agent the images remain unstabilised in a constant state of change. As you wander around the gallery and after you leave, when the prints have long been packed away or stored, Time, exposedcontinues to change and develop becoming ‘a material paradox as the photograms of the Sun are subject to over-exposure at the hand of its most vital resource for our existence; light.' (Robinson 2017). 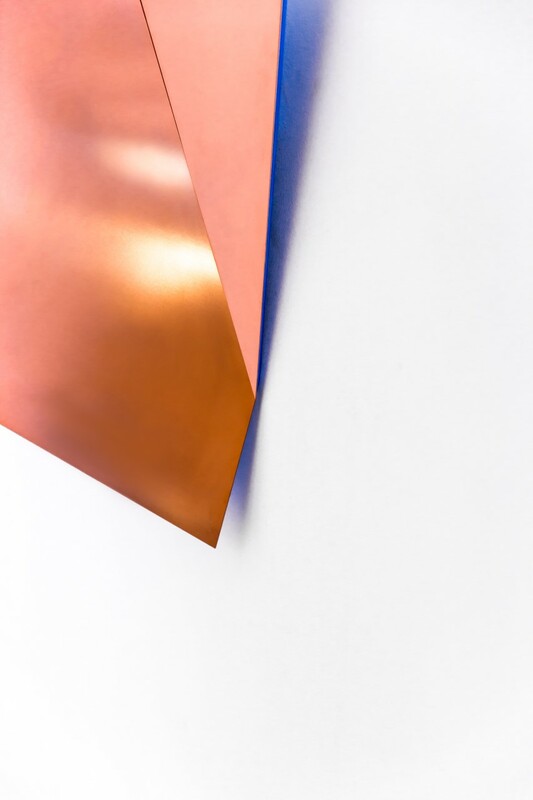 On the adjacent wall, the bold copper sheen of Composition with Copperby Anna Dudek catches your eye. The top right hand corner is folded like the page of a book in mid-turn and on the reverse, it is a striking blue colour. The work is a wall sculpture made of MDF, copper and painted with acrylic paint thatat gives the work a copper sheen. Like Robinson's work, if you looked again later, it would not be the same. The work directs the shifting light within the gallery space to create its form and shape that changes as the light does. It relies on itself to create a complex viewing experience that becomes more than the object on the wall, involving intangible and external elements that change and sculpt the work. Comprised of industrial materials and bold colours, Dudek explores spatial relationships between the work and the gallery wall via the shifting direction of natural light that enters the space and interacts with the geometric sculptural form. Composition with Copperis influenced by aspects of Minimalism. Dudek combines hard, bold, geometric shapes, with fluid, intangible, soft elements to create a visual-spatial illusion that explores preconceived notions of reality. The work invites you closer with its warm colour and poetic nuances rather than creating distance. Dudek engages with Minimalism in a contemporary context and pushes beyond the confines of traditional gallery expectations. The colour of Dudek's work is so bright and engaging you almost don't notice the floor sculpture sitting next to it. Proposition 7by Daniel McClellan features two panes of glass intersecting a piece of timber that almost blends in with the worn and old timber floor of Gaffa. On closer inspection, the panes of glass are mirrors that reflect its surroundings and the work itself in an endless loop. The mirrors either extend the wood to infinity or shorten it to appear much smaller than it is. McClellan does not directly work with light on a conceptual basis but relies on it to create the spatial illusion within the work. McClellan uses industrial materials in a gallery context to explore concepts of space. The work investigates the idea of space as a continuous spectrum that extends across pictorial, sculptural and architectural realms. 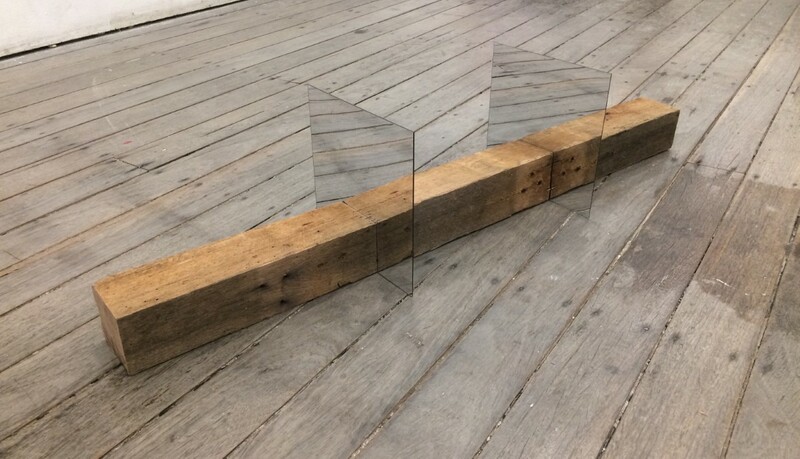 You might be reminded of Robert Smithson's mirror displacement works that use mirrors to reflect and refract the landscape, dispersing it across separate planes and ‘shattering its forms' (Spector, n.d.). Smithson used ‘the vocabulary of minimalism... clean geometric forms, industrially fabricated parts, the look of objectivity...as a way of pointing out the weaknesses of systems and networks' (Hobbs, 1981). McClellan also employs a minimalist aesthetic to explore intangible elements such as time, rhythm, and form in his work. As you exit the show, you take one last look around the space and cast your eye across the diverse and exciting works that fill the space. Time, light, space and form run as themes within the works discussed here and the gallery space itself. Gaffa relies on its unique form and the light that enters the space to shape and create it. It is minimal yet spacious and Time, exposed, Composition with CopperandProposition 7 that feature in the gallery, bring it to life. The space in turn elevates the artists’ works and helps bring themto life. Oomph!is an important and exciting part of Gaffa's exhibition schedule that has plucked graduating artists from their classroom and given them a voice. Long after you finish your last beer and head home for the night the works continue to resonate with you and you can't wait to see what these artists and Gaffa does next. Hobbs, R. (1981). Robert Smithson: Sculpture. Chicago: Cornell University Press. Robinson, B. (2017). Artist Statement, n.p. Spector, N. (n.d.). 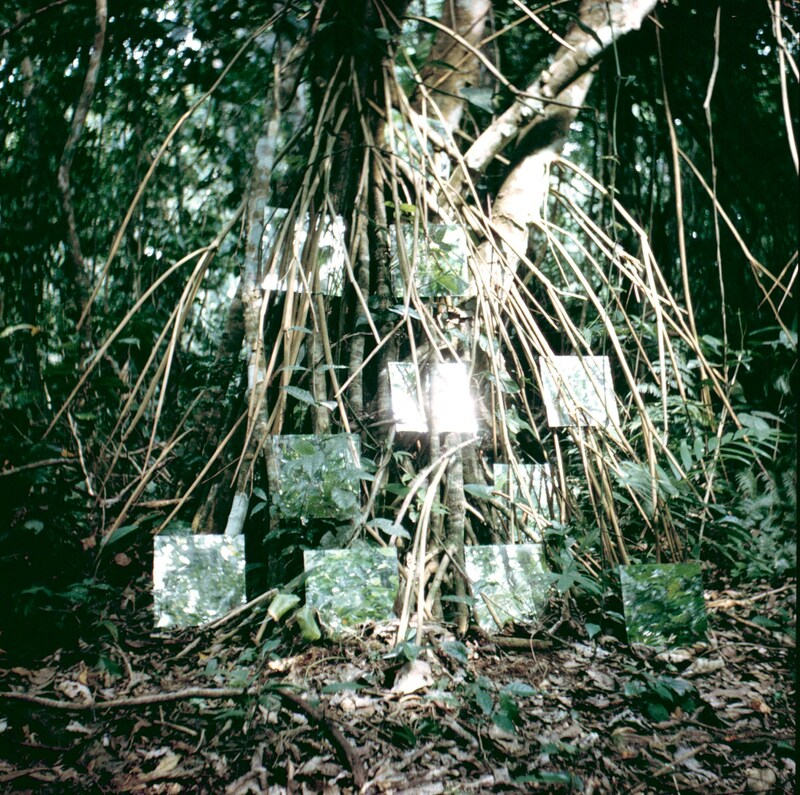 Robert Smithson: Yucatan Mirror Displacements (1-9). [online] Guggenheim: Collection Online. Available at: https://www.guggenheim.org/artwork/5322 [Accessed 7 Apr. 2018].